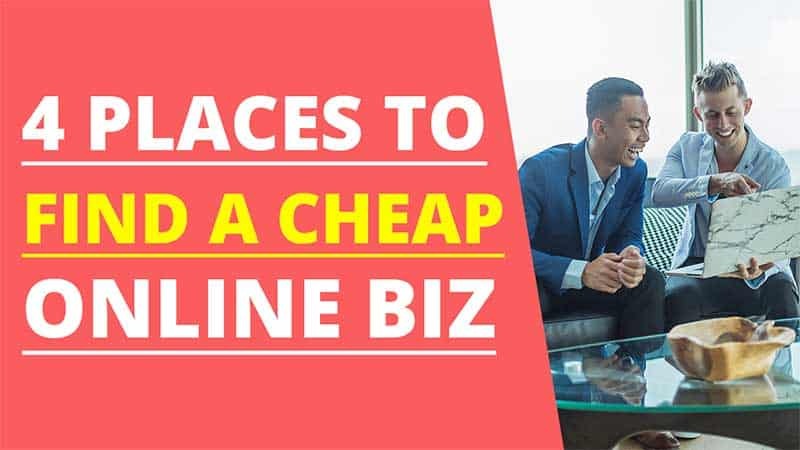 Shopping for a cheap online business for sale doesn’t mean that you are expecting to get a business that has zero potential. It simply means that you are on a budget and want to find an online business that is reasonably priced but gives you a jumpstart online. Buying an online business means saving the time it takes to come up with a good business idea and saving time on having to have your website created or creating it yourself. Below are four places that you can explore to seek out reasonably priced online businesses. Flippa is part of a SitePoint family of web start-ups to include 99Designs, Influx.com, and SitePoint.com. They are quite popular and have become the “go-to” platform for buying and selling online businesses. 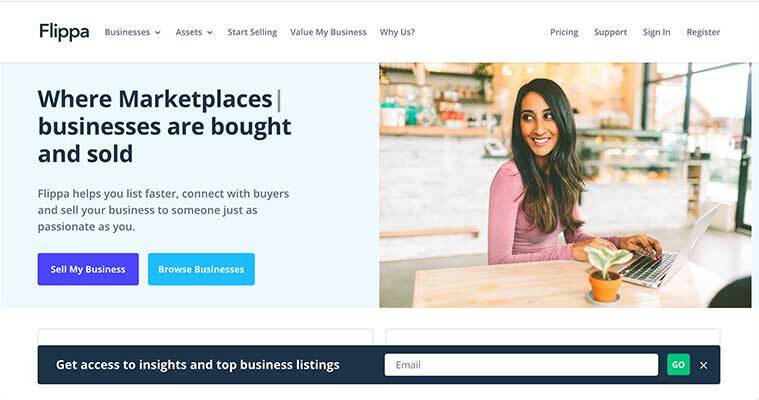 5,000+ new businesses and domains are listed for sale on Flippa each day. It has become the leading marketplace for online entrepreneurs. You will find starter websites for sale as well as well established websites that are earning hundreds of thousands per year and more. You can find eCommerce sites, affiliate sites, service sites, and more. Prices range depending on what you are searching for. There are starter sites with a starting auction of $1 and then there are websites you can buy immediately for five-figures and up. Depending on your budget, you could win an auction for a website that is already earning $100 or more per month. Keep in mind that the more a website makes per month, the more it will cost to buy. An AliDropship ready custom store is ideal for anyone that wants to sell physical goods using the dropship model. Dropshipping doesn’t require you to buy any inventory in bulk or deal with any shipping and handling. You import items into your store that come directly from your dropshipping suppliers. All of that is handled by your dropshipping suppliers. You simply market your store like any other eCommerce website. When a customer orders, you pass along payment and their shipping details to your supplier. 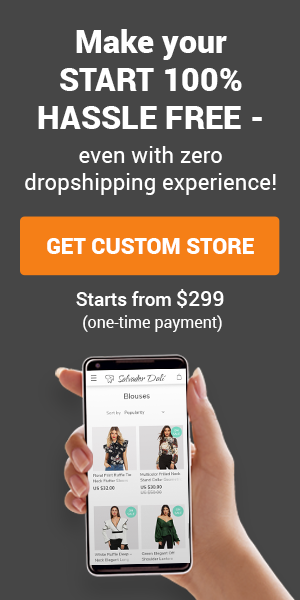 What is nice about AliDropship is that they create a custom dropshipping business for you starting at $299. Regardless of which store package that you select, you will be assigned a personal manager that handles all of the details and answers any questions that you have. Turnaround time is anywhere from 10 to 23 business days depending on the level that you choose. 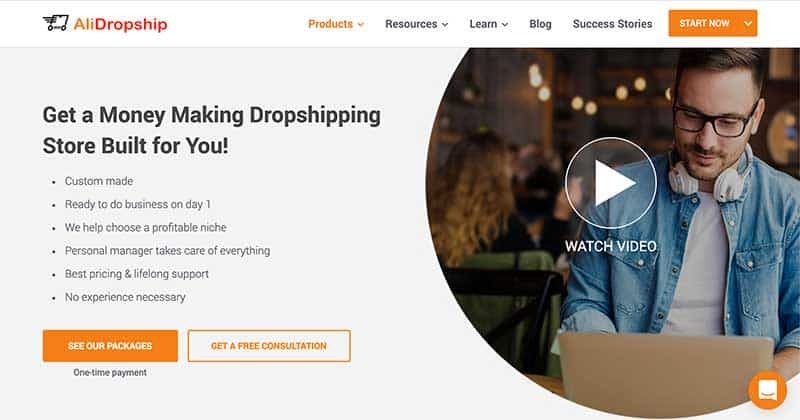 The AliDropship team are experts when it comes to dropshipping as they manage various stores of their own which earn well into the five-figure range per month. They provide awesome customer support which is free for the life of your business. That includes free software updates as well. You can learn more about their custom packages by clicking here. Freemarket is a part of the Freelancer.com network. Business owners can list their businesses for free and they charge a low commission when a business sells. They sell both websites and domains. 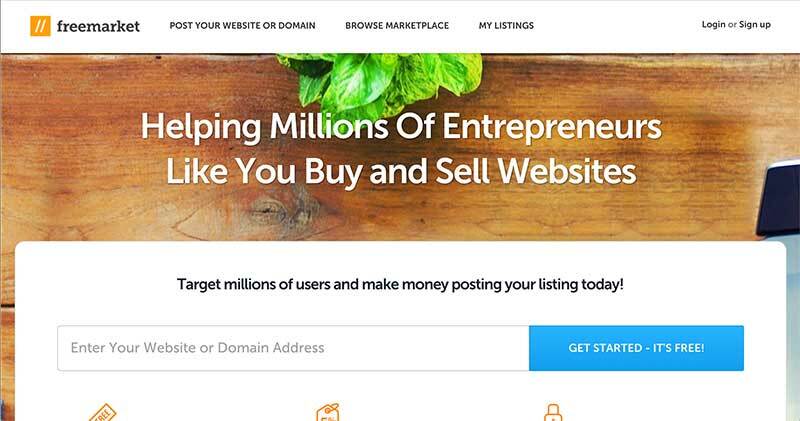 Many of the websites you’ll find for sale are starter sites. Freemarket doesn’t have the reputation of Flippa so browse listings carefully. In the 10 minutes that I’ve browsed the listings, I’ve come across many that were extremely questionable. In this instance, cheap does not work in your favor. I’ve included eBay on this list because you can find really cheap online businesses for sale there. However, I strongly caution you to understand what it is you’re buying before you do so. From my own browsing, I’ve come across businesses listed for $1.95 which are nothing more than cheap advertising for network marketers. They talk about their network marketing opportunity and offer to refund your purchase. 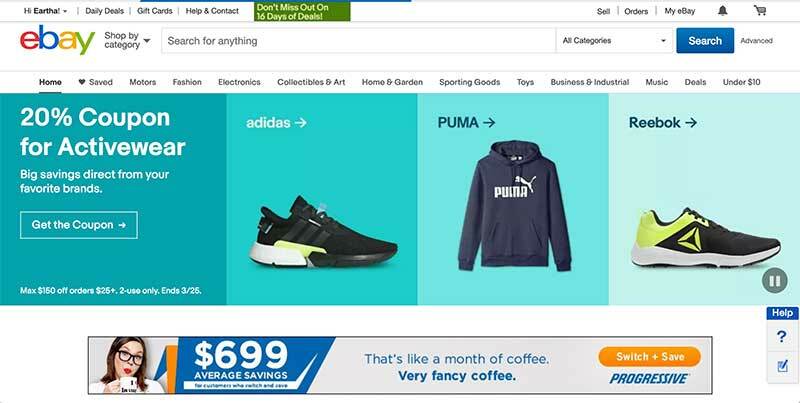 There are some affiliate websites for sale as well that are using some type of Amazon Associates plugin to display product feeds and link affiliate links to Amazon. When it comes to buying a business on eBay, keep the common saying in mind, “you get what you pay for.” If you think you’re getting an awesome deal for the low, low price of $18, think again. I’m a huge fan of online businesses because I know what they can provide. An online business can provide passive income, time freedom, and unlimited earnings. Another nice thing about online businesses, in general, is that there are various types of business models to choose from. If you prefer a low-maintenance type of website you may opt for the blog model. If you like selling physical goods, an online store is an ideal choice. Here are some of the different types of online business websites that you’ll likely come across on your search. The affiliate marketing model is my personal favorite online business. What I like so much about affiliate marketing is that you do not need your own product to sell and you don’t have the hassle of shipping anything or handling customer service issues. For example, let’s say you find a website that is earning a few hundred dollars per month and it is a blog. The blog is about outdoor adventures. The current blog owner writes a lot about camping. Part of his writing involves reviewing camping gear. In the listing, he states that his blog earns income from the Amazon Associates program. What that means is he has is an Amazon.com affiliate. Therefore, he can link to the different products Amazon sells with special affiliate links that they provide. When readers click on those links and buy from Amazon, he earns a commission (percentage of the sale.) That is how affiliate marketing works and there are tons of affiliate programs that you can join. Another business model you will come across is Google Adsense websites. These are websites that earn a bulk of their income from the Google Adsense program. This program places either text ads or images ads on your website using code that you copy and paste onto the website in specific locations that you want. The code then serves these ads and when your visitor’s click on the ads, you earn a small percentage of what it cost the advertiser to the Adsense program. If a website gets a lot of traffic, then the earnings from this program can be lucrative. In a lot of cases, Adsense is supplemental to the other methods that a website earns with. These types of online businesses are great for people that are more familiar with or have an interest in selling physical goods. There are basically two types of online stores that you can buy. You can buy an online shop that buys their inventory in bulk from various suppliers and stores them in their home or a storage facility. They handle all of the shipping and handling of these items as customer’s buy them in their store. The other type is the dropshipping model. This model doesn’t require you to buy any inventory until it is ordered from your store. Your suppliers carry the inventory and ship it to your customer for you. All that you do is pass along the payment and shipping details of your customers to your dropshipping suppliers. They then ship the items directly and your profit is the difference in the price you charged the customer and what the supplier charged you. Many people gravitate towards dropshipping due to its low startup costs and huge earning potential. Service type of websites are those in which the business provides a specific service to their customers. A good example of this would be an SEO (search engine optimization) agency. 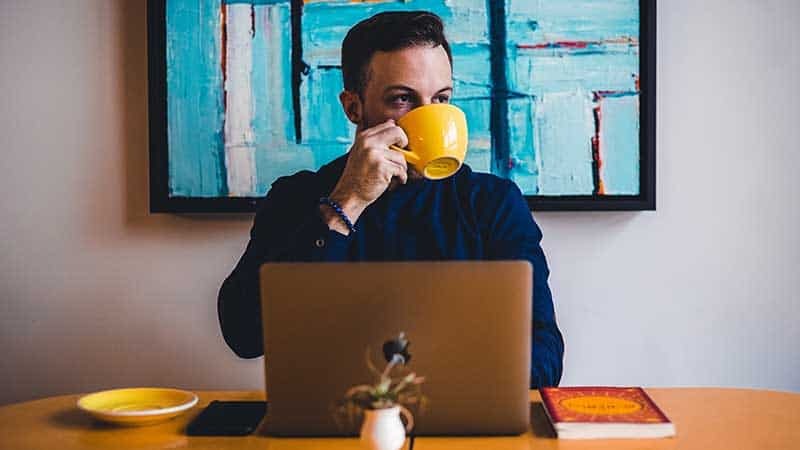 You may think, “I don’t know anything about SEO, why would I buy such a business?” In many cases, these type of service websites outsource all of the work to another company or to freelancers. Therefore, the current owner may not be an SEO expert either. 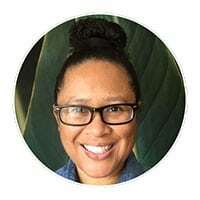 They set up the website to bring in clients and then pass along the SEO services to a third-party or freelancers they have worked with for some time. Essentially, the website acts as a middle-man. Searching for a cheap online business for sale should be done with caution. There are many sellers out there that aren’t providing a quality website so even if you spend very little, you’ll end up giving your money away for a website you won’t do anything with. If you are going to use any of the resources in this post, I recommend both Flippa.com and the AliDropship Ready Custom Stores.